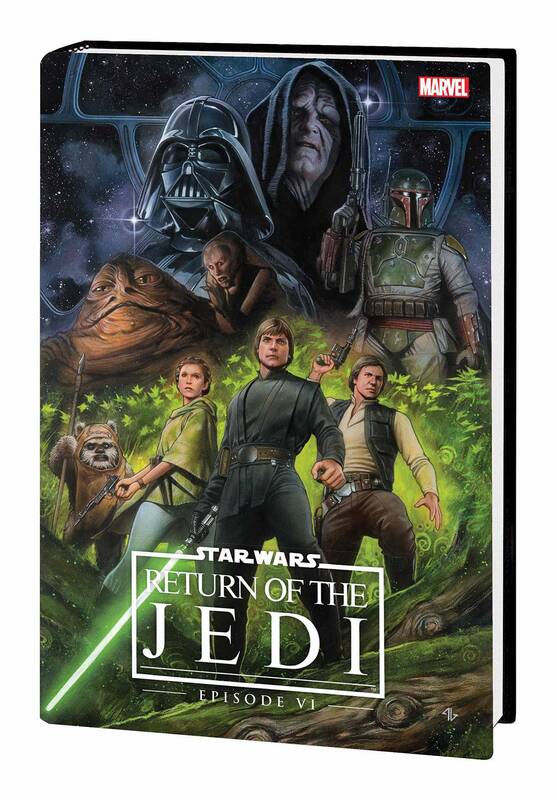 Luke Skywalker faces his destiny as the greatest trilogy in all of fiction concludes, remastered for the modern age! These are grim times for the Rebel Alliance. Han Solo is in the hands of the vile Jabba the Hutt. The Jedi Master Yoda grows weak. Emperor Palpatine is determined to turn Luke to the Dark Side. And Darth Vader nears completion of a new dreaded Death Star even more powerful than the first. To avert certain doom, the rebels head to the forest moon of Endor - but will the native Ewoks be friends or foes? Before the Battle of Endor begins, Princess Leia faces dramatic revelations. And when Luke surrenders to Vader, the fate of the galaxy may rest on the ultimate father/son confrontation! It's Return, remastered - read it! Collecting STAR WARS: RETURN OF THE JEDI #1-4.